Change accounts by de-authorizing Jackpot Magic Slots from one Facebook account and then authorizing it on another. Sign into the Facebook account you no longer wish to have linked Jackpot Magic Slots. Click Settings (the gear icon) in the upper right. In the menu on the left side, click Apps to open App Settings. 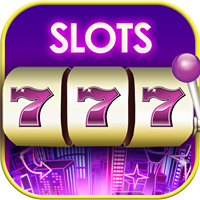 Locate Jackpot Magic Slots on the list and then click the X on the far right. Click on Remove to remove the app. Sign out of the first Facebook account. Sign into the Facebook account you wish to link to Jackpot Magic Slots. Return to Jackpot Magic Slots. Follow the prompts to approve the connection to the desired Facebook account.